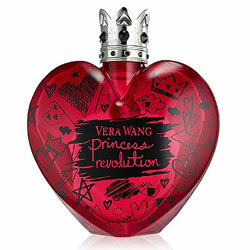 Princess Revolution by Vera Wang - A fruity floral fragrance. An edgy and rebellious feminine fragrance edition of the 2006 Vera Wang Princess perfume. With notes of black cherry, watermelon sorbet, blood orange, lily of the valley, red apple blossom, jasmine, cedarwood, and amber wood this fragrance is "a perfect balance of rock and romance". 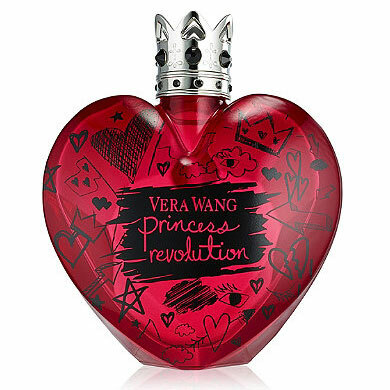 Vera Wang Princess Revolution perfume is housed in a cherry red heart shape bottle decorated with black graffiti, and features a silver tone crown cap. 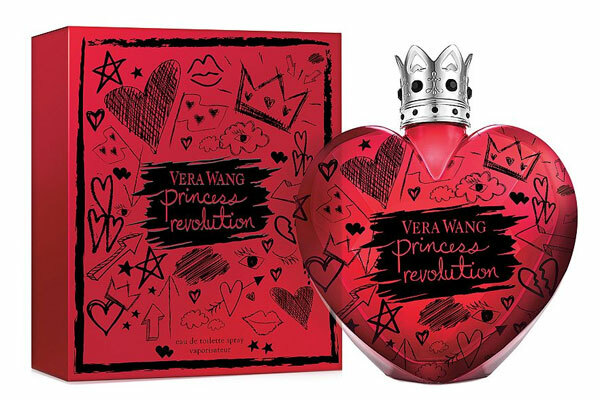 Launched in May 2016 and available in an eau de toilette spray from Kohl's and ULTA. 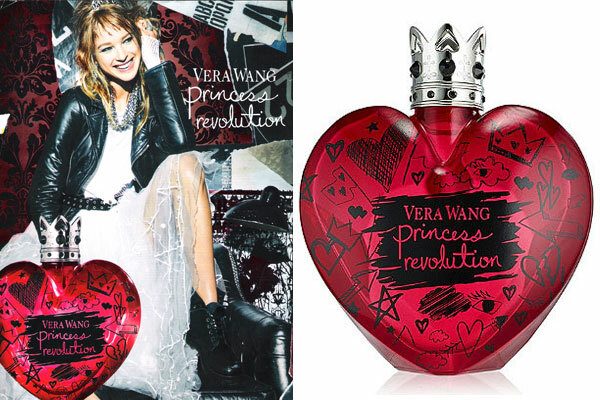 Package Design Cherry red heart shaped bottle with black graffiti print, and silver crown cap.